Ipanema and Leblon are some of the most-sought after neighborhoods in Rio driving prices up, photo by Fernando Maia/Riotur. In Rio, Fipe-Zap index registers an overall rise in purchase prices of 224.7 percent since January 2008, with São Paulo not far lagging behind. In the same time, rental prices have only gone up 131.1 percent. “There are several reasons why we would have expected prices to have risen in recent years, [but] the sheer scale of the increase is difficult to justify. The market may be overvalued by as much as fifty percent,” Neil Shearing, Chief Emerging Markets Economist at Capital Economics, stated. 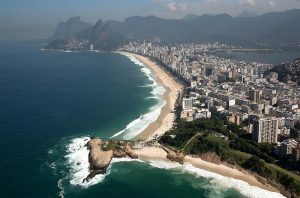 Prices have risen, as incomes in Brazil have increased. The nominal GDP per head has increased by fifty percent since 2008. The newly generated middle-class is eager for housing and with the development of a mortgage market, demand has spiked. Yet, housing prices, especially in Rio and São Paulo, have risen far more than income has, which for many is an indicator of a bubble. Also, other emerging markets have seen a similar development of the mortgage market, but not such sharp increases in prices. The outpacing of rental prices is seen as a third factor pointing to a bubble. 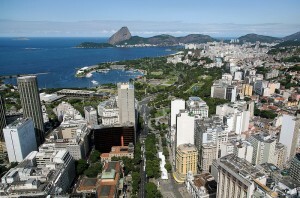 Several indicators point to an overheating of prices in the Brazilian housing market, photo by Fernando Maia/Riotur. There is a considerable lack of data in the housing market in Brazil however, as for instance the Fipe-Zap index only started in 2008. Caixa’s vice president of real-estate lending, Teotonio Rezende, dismissed talks of a bubble and attributed the increase in prices to a re-regulation of prices after depreciated values during the hyperinflation that plagued the economy in the 1980s and 1990s. Jonsson cites the substantial amount of down payment that has to be made in Brazil and the low mortgage default rate as explanations against a bubble. The rise in mortgages, eightfold in the last six years according to Bloomberg, can be justified due to its low level beforehand. “Having said that, the cost of housing has risen faster than income in the last five years which may make due for a more modest growth in property prices in the near future. Again, though, this is not to be compared with a market implosion that a bubble burst should cause,” Jonsson continued. Will Postal Services in Brazil Soon be Privatized? Apart from housing, you will now find that most things in Brazil are a ridiculous price, including base home products such as many food stuffs. Jar of good to average Jam costs 15 reais or $6.80US, local bananas in some of the better stores are more expensive than the bananas imported into the UK. I’d like to say that the BUBBLE CRASH is going to cause huge headache soon after Olympic game and oil crash that will drive Brazilian economy into a tailspin. the cost of housing rental in rio has stopped many americans from visiting rio…we will nt pay the excessive cost of visiting your beautiful city and go to other locations… panama or d.r. lower rentals and we will return…until then..we await the bubble burst !! At least, here in Sao Paulo, the prices of houses have started to stagnate and even fall. This is an empirical view based on over a year of trying to find a property to buy. Key measures are not the asking price, but the price the deal closes at and also the time on market. Houses taking 18 months to 2 years to sell are not uncommon, by which time the real price has fallen by approx 10% simply due to TVM. I am also seeing that houses are now being sold at the price of the land they stand on – something which was not happening a couple of years ago. I really don’t think there’s a bubble, and I don’t expect a burst. What I do expect is a continued stagnation and a softening of prices from sellers who really need to turn their property into cash. On the development side, there have been a significant number of apartment launches recently but the focus is increasingly studio / entry level apartments on 19m2 and upwards. Só whatt does the softening of prices mean, when can u get a big discount, what’s the point of putting up a high asking price and then having to wait months to sell.